Epping is a popular suburb for families for a good reason. Just off the M2, which provides easy access to other Sydney areas, Epping has access to just about everything you could want. The average resident is wealthier than the national average, but that comes at the cost of the high housing prices of Sydney. Unless you’re visiting the suburb on your holidays, you’re probably quite busy, balancing work, family and other commitments. Waste disposal is one of the least pleasant jobs, and we’re sure you can think of a long list of things you’d rather spend your time on. 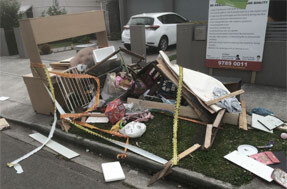 Fortunately, Same-Day Rubbish Removal has been operating in the area for over a decade, and we offer the perfect service for people in your situation. We cut the time and cost out of junk removal so that you can spend it on the things that you enjoy. Aside from being the cheapest, easiest and fastest waste removal service in Epping, we pride ourselves on doing every job in the most responsible way possible. Whenever we can, we’ll have your junk sorted and taken to a recycling centre that is capable of processing it. Having spent around a decade doing rubbish removal across Sydney, we know all the recycling centre locations and what they’re capable of. The most responsible way to dispose of your junk is actually reusing or repurposing it – if you can find another use for it, or if it could possibly be fixed, try to make that happen before actually disposing of it. If it is just unwanted items, consider donating them to a second hand shop. If none of these options work, make sure you give us a call, we’ll make sure your rubbish is disposed of in the next most responsible way. Common items that we remove from homes include lounges and couches, fridges, freezers and other white goods. We also often find ourselves taking away excess e-waste from offices and building scraps from home renovations. Our Epping Service is Epic! It doesn’t matter whether you’re located in or around Epping, such as in a nearby suburb like Turramurra, or you’re on the outskirts, such as in Vaucluse or Campbelltown. Our fast and affordable service is ready to come to your location. 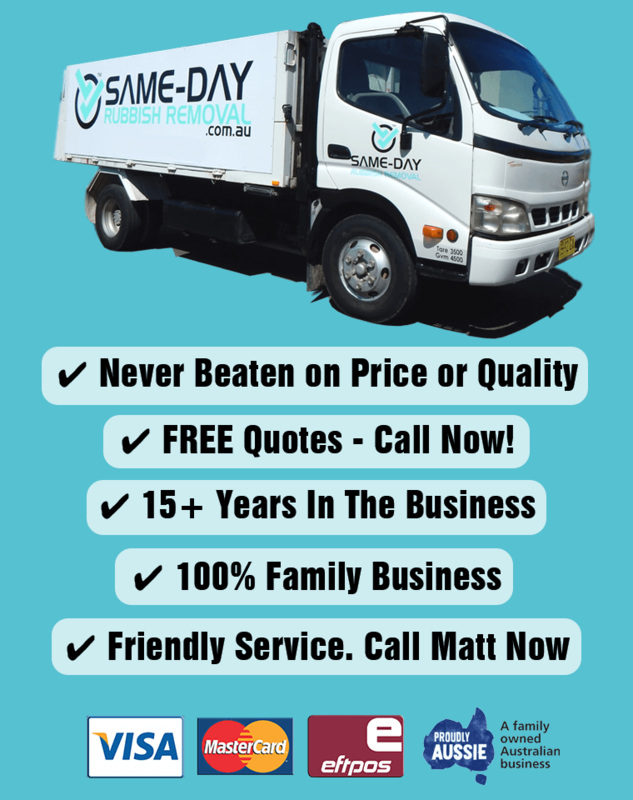 We have multiple trucks and friendly teams across Sydney waiting for your call. If you’ve looked into alternative options such as hiring a skip bin, or taking junk to the nearest tip yourself, you’ll have worked out that they’re a lot more expensive than you’d think! Our service is actually cheaper than you’d think – because we’re doing this all the time, we’ve worked out all the ways to keep costs to a minimum. There hasn’t been a job that has been too hard for our team yet, so no matter what it is you’ve got to remove, our experienced team are ready to come and collect it. 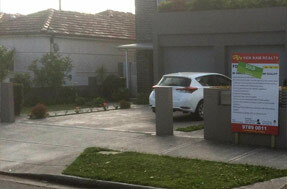 Give our friendly team a call now on 0402 737 046. We can’t wait to clean up your home so you can get it looking as it should.